Lady’s Picture is not included. Replace it with your own easily via Smart Object. The link in the help file. 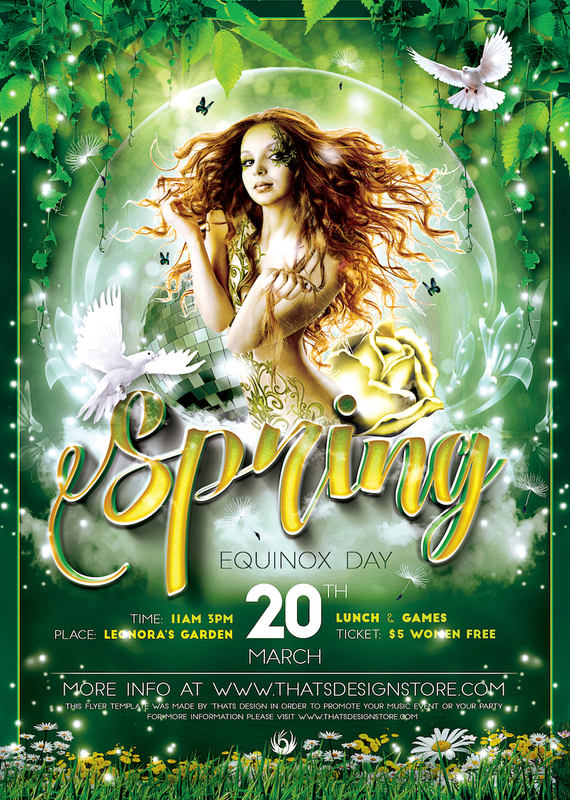 Grab this Spring Party Flyer Template specialy designed to promote a Spring Break party. You can also consider use it for a any green ecological special event like an Earth day. 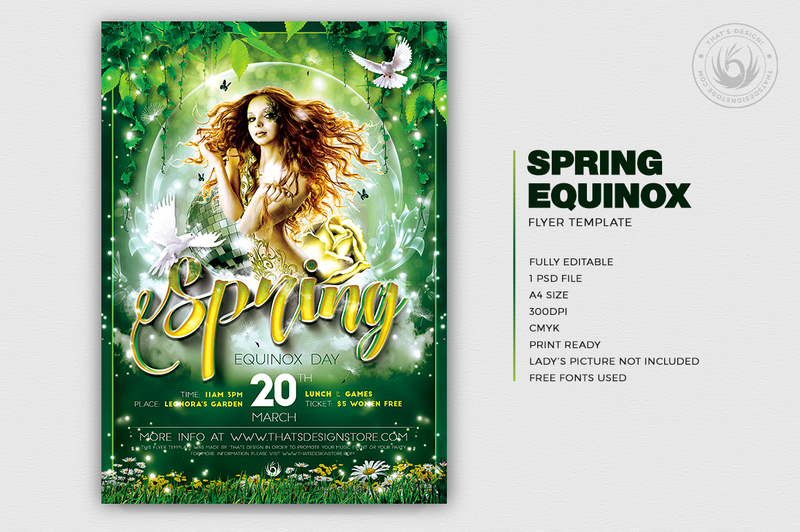 Save time and money with our Club Flyer Psd Templates. 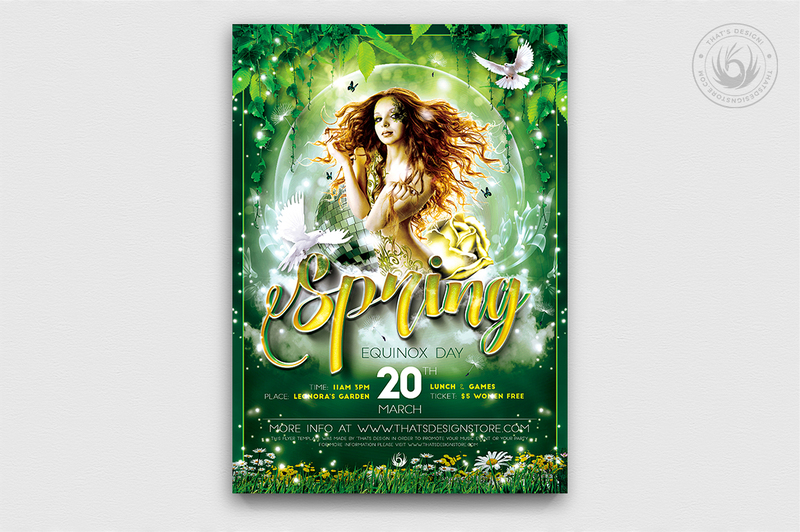 Customize your Photoshop Green psd flyer templates easily.